Key West Race Week is considered to be the premier race week in the world. With over 100 boats, and a beautiful race course with amazing conditions, sailors look forward to the opportunity to race against the world’s best for a week. With that being said, there a lot of moving parts to a week of racings so we have a few tips to make things easier. The best sailors in the world have a pre-race routine. Typically it involves going to sleep and waking up around the same time every day. This will ensure your body and mind are ready for racing when the gun goes off. When your team arrives at the boat, the team should check over the part of the part that they work in. Typically the main sheet trimmer will check over the cockpit, and traveler area. The bow person is in charge of the bow, and making sure there is no wear in the halyards. The trimmer will be in charge of the sails, making sure there are no surprises on them when they go up for the day; and the driver just will typically go over the whole boat checking over ring dings, tape marks and sip on their coffee while thinking about the racing for the day. Often time at Key West there is plenty of breeze. 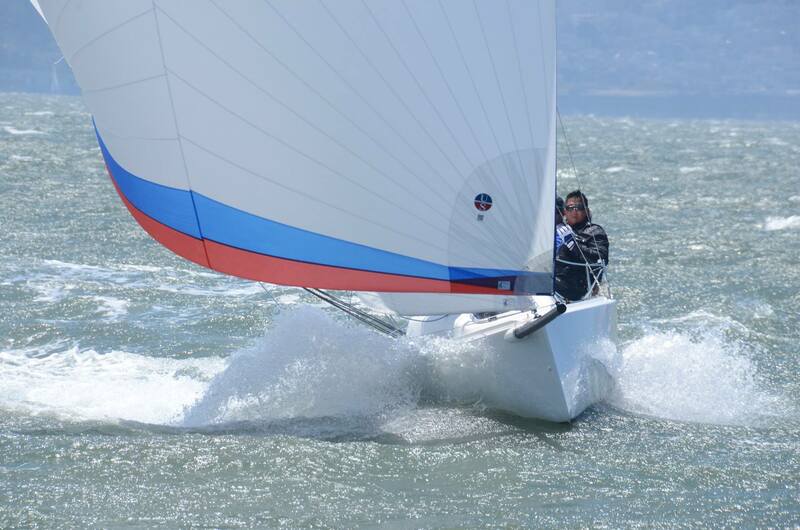 Not everyone is comfortable with sailing in big breeze conditions. It is worth it to do some research and some reading about sailing in breeze. Typically you are going tighter on the rig and flattening out the sails. There is plenty of literature out in the world that talks about boat set up for the extreme conditions. After the J70 worlds we wrote an article about things that we learned about sailing in big breeze but the number one thing we learned is having your backstay set up correctly. While setting up your boat make sure your backstay set up is good enough to last you the whole week and not just two days. If you are not going well, ask a pro or take note of the top boats in the class as they are sailing where they are in their settings. Things to look at are jib car positions, how tight the leeward shrouds are, how much forestay sag they have, and how their boom is relative to the deck of the boat. A lot of teams that are sailing Key West, don’t always get to sail year round. Some teams have been hibernating in cold climates for the past three months. Their goals may be different than teams who sail year round. Be sure to sit down with the crew and get everyone on the same page about the goals for the regatta. Teams that don’t sail very often should aim to be having their best most consistent racing at the end of the regatta. If you stick to your routines, and take note of the settings through the week, it will make for a successful week of sailing.